The spread was enough for the Democrat to declare victory Monday night, and Utah election officials are supporting McAdams’ vote analysis because they don’t believe enough uncounted ballots remain to change the current outcome. Democrats will end the 2018 election with 234 seats in the House, a gain of 39 from their previous total of 195. Republicans will return to the new Congress with 201 members. 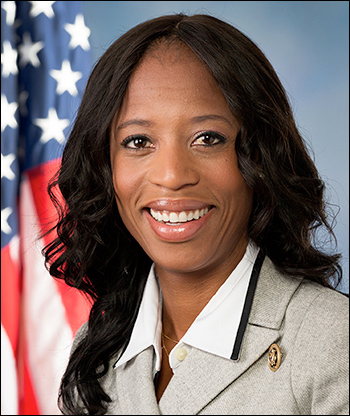 Mia Love first ran for the House in 2012, challenging Rep. Jim Matheson (D-Salt Lake City) who had chosen to run in the 4th District as his best hope from a series of heavily Republican reconfigured districts. With Utah favorite son Mitt Romney capturing the 4th District over President Obama with a 67-30 percent split, Love could not convert enough of the Romney coalition and lost to Rep. Matheson, 49-48 percent. Two years later, with the congressman retiring, she captured the seat in a 51-46 percent victory over attorney Doug Owens (D), the son of former US Rep. Wayne Owens (D-Salt Lake City). She was re-elected in 2016 with a 54-41 percent margin, again over Owens. Rep. Love had never completely secured herself in this district, though, and President Trump is not overly popular in Utah (he won only a 45-27-21 percent victory over Hillary Clinton and Independent Evan McMullen; his 4th District victory percentage was only 39) like he is in other deep red states. Therefore, susceptible to an anti-Trump attack in the Salt Lake City suburbs, drawing a proven opponent in Salt Lake County Mayor McAdams, publicly fighting a campaign finance legal problem, and never fully expanding her district base, Love appears to have become the final Republican casualty of the 2018 midterm election.